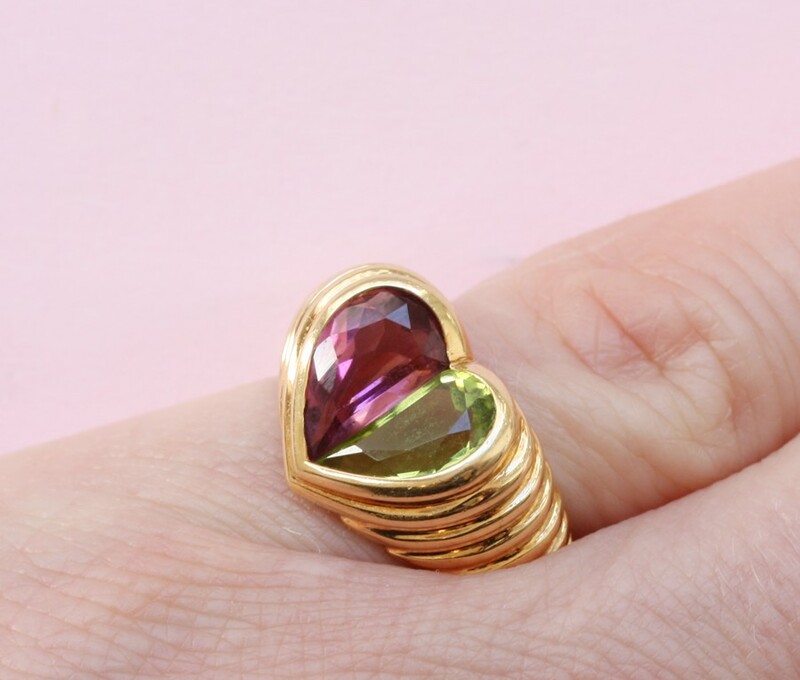 An 18-carat gold heart shaped ring with a ribbed shank, a pink tourmaline and a peridot together form a heart, signed: Bulgari, circa 1980, Rome. ring size: 15.5-15.75 mm. / 4 3/4-5 US.